Magdi Bassilious, a Consultant Anaesthetist, passed away suddenly on 16th November. He was a loving father and a great help to so many. A friend described him as having an “infective positivity”. He was not there to watch. He was there to get involved in every practical way. He took over the project of cancer care in Alexandria. He financed it and spent huge effort in progressing it. The day before he died he was planning the agenda of the Coptic Medical Society for the year ahead. Magdi was happy to help everybody who approached him, whether he knew the person well or not. Helping was his nature. He worked closely with staff at the Egyptian embassy. 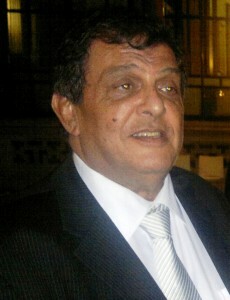 Magdy was the secretary of the new Egyptian Community Association. He was also active member of the The British Egyptian Society and The Egyptian Medical society of UK also he was a trustee of the Coptic medical Society. He had a rare ability to bring people together. Things happened because of Magdi’s energy, his contacts and his perseverance. He put together many successful evenings when people enjoyed fellowship and listened to informed talks from experts. He brought “life” to the Coptic Medical Society and the Egyptian Medical Society. Magdi was a very generous person. He supported many charitable activities. He never thought twice about giving what was needed, no matter how big the sum required. He will be greatly missed by everybody who knew him. Dr Nabil Raphael is the President of the Coptic Medical Society.